Home > Shop By Brand > BLACKFIRE Pro Detailers Choice Car Care Products > BLACKFIRE Synthetic Spray Wax 128 oz. I try this wax for he first time. I would recommend BlackFire synthetic wax if you want an awesome shine. I kept on saying Wow! every time I applied the wax to my vehicle. The wax also has a decent smell when applying it. 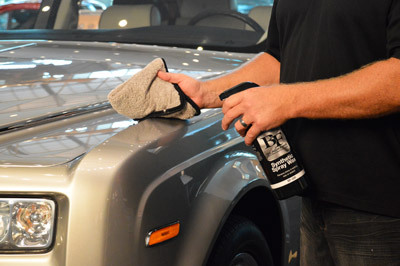 This product gives a a great deep shine...no water marks!